How did you like Turkey Day on Y&R? I really enjoyed watching the Thanksgiving activities in Genoa City. The wealthy and privileged citizens really made an effort to help the homeless and needy this year. Jill's participation, however, was not entirely altruistic. She was also motivated by a desire to drum up some positive publicity for Brash & Sassy. Speaking of Jill, it was fun to see Esther annoy her former boss by insisting that she wear a hair net while serving food. She had Jill squirming. I also enjoyed watching how Abby and Summer burnt the turkey and almost caused a fire. Only the pies were fit to eat. It was quite amusing to see Jack take such delight in devouring Victor's favourite pie. That may have been the only time Jack put one over on Victor. Just before Thanksgiving, Travis decided to take out an engagement ring and propose to Princess Victoria - right after he had cheated on her. Unknown to the couple, ex-husband Billy Boy Abbott was lurking quietly in the background (What a great sense of timing!). To her credit, Victoria would not give Travis an answer right away, Instead, after taking some time to think it over, she accepted his marriage proposal during Thanksgiving dinner. No wonder she was hesitant, with her marital track record - Ryan, Cole, J.T., Billy (three times). If this wedding actually takes place, it doesn't look any more promising than Victoria's previous unions. The princess doesn't realize it yet, but her White Knight has rusty armour. He's just as much of a liar and a cheat as Billy Boy. Jill was right on the money when she described Travis as "Billy-lite." At least Billy doesn't pretend that he's some kind of paragon of virtue. For all his faults, he's more authentic than Travis. At least he's not "holier than thou." I hope Travis' not-so-secret tryst with Michelle will be revealed in time to avert another disastrous marriage for Victoria. King Victor will soon be calling Travis "a punk," as he's done with all the other men in his daughter's life. However, what will the Black Knight do if the alternative to Travis is a reunion between his princess and Billy Boy? Although Dylan McAvoy is not my favourite character on Y&R. I think he's one of the most honest male characters on the show. He's much more honourable than Nicholas Newman. Nick is a mean-spirited, angry man. Yes, Sharon has deceived him, but he cheated on her twice when they were married, first with Grace and then with Phyllis. Why is he so self-righteous? Of course, Sharon was wrong in keeping the baby secret from him, but he should feel fortunate in having his son back. (even though Christian is not really his son). Why can't he be more magnanimous? Why did he have to be coaxed into not pressing kidnapping charges against his former wife? What would that have accomplished except cause more pain and heartbreak for Faith and Mariah and Dylan. Nick is just as hypocritical and self-righteous as his parents, Nikki and Victor. Although Dylan and Nick are both sons of Nikki, Nick was raised by the Newmans and Dylan was raised by his adoptive parents. That must be the difference. That must be why Dylan, though not flawless, has more integrity than his bull-headed brother. Sharon's fortunate he hasn't left her, at least not yet. He will be out of the picture before 2016 comes to an end. As I've mentioned before, Steve Burton, who portrays the character, did not renew his contract and will be be leaving Y&R. So, Dylan's fate hangs in the balance. He may leave town leaving the door open for his return, with another actor playing the part. Perhaps he'll hook up with Avery again, although that would be a mistake because she didn't treat him very well. Once he's gone, where will that leave Sharon? Will she try to mend fences with Nick? Will she battle Chelsea for Nick's affections? 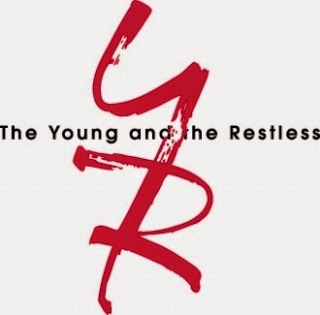 Well, fans, I am very pleased that Sally Sussman is taking over the reigns as head writer at The Young and the Restless. I'm glad that she intends to focus on the core characters and their relationships. We've had enough explosions and baby snatching. Thank goodness Sussman wants to move away from that! You will undoubtedly notice a change in direction on the first episode with Sussman as head writer - Wednesday, December 7 (CBS), Tuesday, December 6 (Global TV in Canada). There will be a traditional Abbott breakfast. By the way, don't expect the character of Adam to resurface anytime soon. In an an interview with TV Insider, Sally Sussman said that she is "not looking to bring the character back," nor is she planning to make a big issue of Christian's real paternity, at least right now. "I don't see that we need it," she declared. "Nick believes this baby is his and for all intents and purposes, it is." She added that when and if an Adam shows up, "then we'll deal with it." In her interview with TV Insider, Sussman also revealed that "Jill is going to experience a serious personal crisis that will cause her to reevaluate her entire life." I can only speculate what that might be. Perhaps she'll have a close brush with death. Maybe her crisis will have something to to with Colin. Hmmm . . . Regular viewer Fifi from Collingwood, Ontario thinks it's obvious that Cane Aasby is going to get hooked on pain killers. Fifi says she's not too thrilled about the prospect of that storyline. Yes, Fifi, it does seem that Sugar Cane is going to become addicted to the pills and I have to agree with you.that it doesn't sound appealing as a plotline. 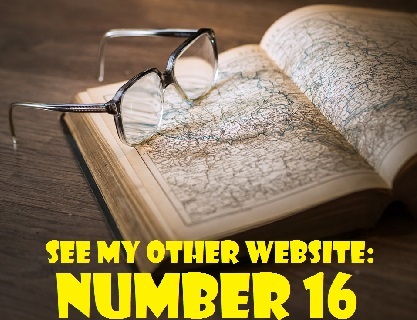 We've already had so many addiction stories - Nikki, Neil, Jack - isn't that enough? Why add Cane to the club? 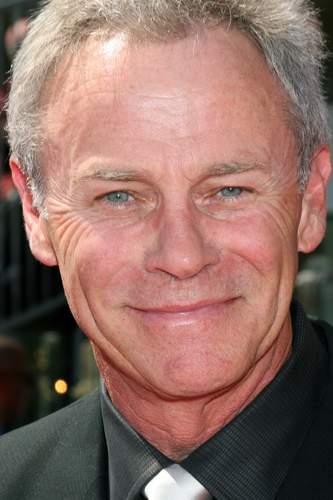 Tristan Rogers will be back as the roguish Colin Atkinson for four episodes in December. He'll return again in January for a longer time The Aussie announced his return on Twitter, despite having said that he would no longer appear on the show. Rogers obviously changed his mind and his fans will be delighted that he did. His character really stirs thing up in Genoa City. Ashley Abbott (Eileen Davidson) has been very busy lately developing products for Jabot. She's been single and unattached for quite a while now. Fans, whom do think would be a good match for her? Now that Abby and Dr. Stitch have broken up, should she rekindle a romance with him. There doesn't seem to be any suitable guys for Ashley on Y&R right now. She and Dr. Neville would have made a good match. It's too bad he was written out of the show before a romance could develop. Maybe Sally Sussman will bring Neville back, although that seems unlikely to happen. Should Ashley and Dr. Stitch be a couple? Yes. They seem to have a good connection. No. Definitely not. Stitch is divorcing Ashley's daughter. It would be much too complicated. No way. Stitch has too much baggage. Dr. Neville should return. He and Ashley would make a good match. No. Ashley should meet someone new. That's all for now. Please remember that the next edition of Y&R Report will appear in this space on Saturday, December 10, 2016. The month of December and the dawn of the New Year should be a lot of fun on Y&R. We'll see what changes that Sally Sussman brings to the show amid all the Christmas and New Year activities in Genoa City. I will report on the Toronto OpportuniTea High Tea with Kate Linder & Friends in the next Y&R Report on December 10th.